China dinnerware is revered for its value and refinement. The term “fine china” refers to dishes made not only in China, but also in Japan, England, Germany, Denmark, and the United States in a style of beautifully crafted porcelain. The Chinese were the first to create porcelain from hard paste and their secret manufacturing methods were guarded from outside countries. Then, in the 1700s, methods for creating hard paste capable of crafting beautiful and durable fine dinnerware began to emerge in other countries. Fine china sets, which were difficult for commoners to re-create, became highly valuable items and status symbols for individuals who could afford them. Fine china often features inlaid gold or silver. The metallic detailing signifies luxury. Bone china is a type of dinnerware made with clay and the ash of burned animal bones. This type of china is more translucent and durable than standard porcelain china. One famous set of bone china has embroiled Judge Judy in scandal this year. Apparently the set was worth a little over half a million dollars, and Judge Judy purchased it from a work associate for a mere $50,000. The purchase came into question because of the divorce of the seller, and a court has ruled that Judge Judy cannot keep the set of bone china. Royal palaces and the White House use signature types of china, which can also be purchased by the public but are very expensive. One famous type of china is Royal Copenhagen China. Denmark began manufacturing china in the 1700s and has designed a specific pattern for the royal palace. The White House has many sets of fine china. Presidents acquire government funding to purchase sets of china, and there are sets at the White House from many different presidents. 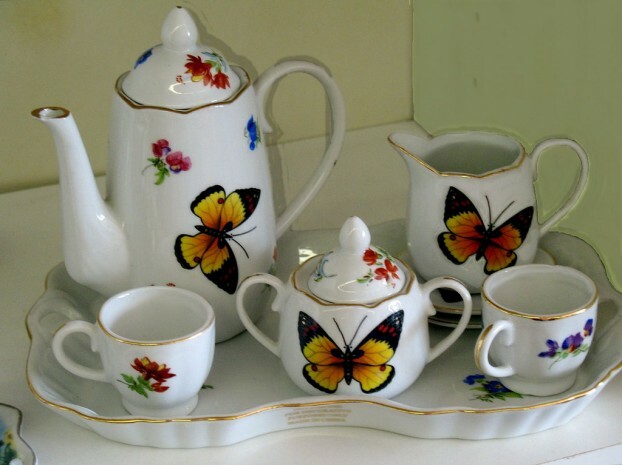 Current sets are created by a United States company that uses machines to paint plates but still paints teacups by hand. The Clinton china has 300 place settings and originally cost $240,000. One company has begun making china for dogs. These dog bowls cost 1500 Euros, or close to $2000 each. The china dog bowls are porcelain and lined with 22ct gold. One china vase, an actual Chinese relic from the 1700s, was sold at auction in London in 2010 for an initial selling price of 550 million Yuan. But when the buyer did not pay, the vase was later resold for between 20 and 25 million pounds, or just upwards of $32 million. A set of artifacts recovered from the wreckage of the ill-fated Titanic was appraised for auction in 2012 at $189 million. Included in this set of artifacts retrieved from the undersea remains of the White Star cruise ship are numerous pieces of fine china. Older china can be valuable, but first it must be identifiable. Makers of fine china have, since the beginning of manufacturing in Europe, listed brands or regions of origin on the backs of the exquisite dishes for identification purposes. Often the stamps signify the region where the dish came from rather than the actual manufacturing company. Trevor Sindell is a freelance writer who focuses on dinette sets, expensive kitchen utensils, home decoration, renovation, remodeling and other similar topics; to view great selections of utensils and other goods visit Hotpoint at yourspares.co.uk. Image credit goes to dog.happy.art. Next story What Sort Of Returns Does Radio Advertising Yield?